You are probably here because you want to make this Ramadan your best ever, physically, mentally and spiritually. Making the best out of Ramadan is certainly easier said than done. With this new eBook of mine, I help you cut through the clutter and assist you to achieve this dream in a simpler and easier way. As a nutrition and exercise coach, my goal is to provide you with the ultimate nutrition, exercise, sleep and energy management techniques to help you make this Ramadan your best ever, bi’idnillah! Download this FREE eBook now to supercharge your Ramadan. Healthy Hacks for an Awesome Ramadan. JazakAllahu khairan Brother Rushdi. Excellent work. I forwarded to at least 20 people in groups. Everyone is really thankful. I am a Paediatrician and scientifically too your advice in the book is sound and very beneficial. May Allah reward you in both worlds. I found the Ramadan eBook simply amazing! Masha'Allah you are doing a great job. May Allah give you lots of reward for it. Aameen. I made a Dua list and it has helped me a lot and set goals for this Blessed month too. Also I have been able to fix my eating habits and focus on eating healthy and cut down on fried stuff at iftaar. It feels very good Alhamdolillah! JazaakAllah! Jazak Allaho khira for this effort. This is the best practical guide for Ramadan that I had. First Chapter provides very good practical planning. The rest are amazing to organize time and food. May Allah reward you. This book changed my Ramadan, this year. I was taken it lightly and after following your plan, things changed. While it is simple but necessary. I have to admit, this book got me hooked to it the moment I started reading it. The fact that it was not just facts and dos and donts that constituted this book's indispensable content, but the personality of the author outshone through out the course of this book. It was fun and both reinvigorating to read this precisely complied, impeccably structured yet immensely knowledgeable book. Anyone who seeks to get the best out of their Ramadan, without feeling lethargic or drowsy and ensuring they elevate their level of emaan, must grab a copy of this book ASAP! 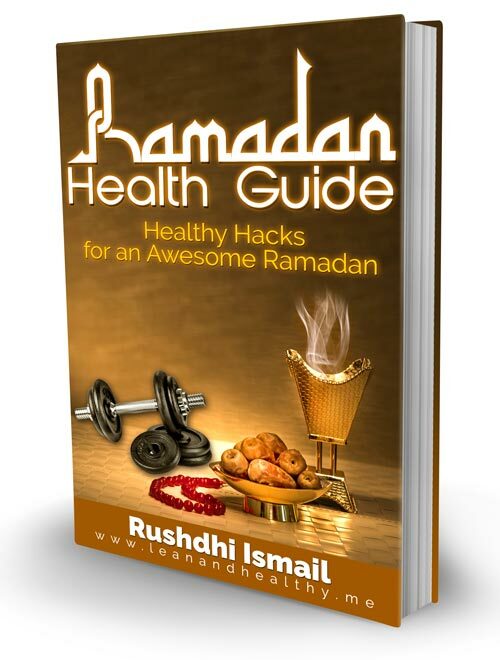 It is one of the best health guides that I have read regarding Ramadan. 5 out of 5 stars for the great book. It is the best guide on this subject that I have ever read! !